Children must not graduate to the next level of restraint until they have outgrown their current restraint. Nor should they continue to use a restraint that they have outgrown. The restraint’s user manual will include information about this. SHOULDER HEIGHT MARKERS, HOW DO THEY WORK? 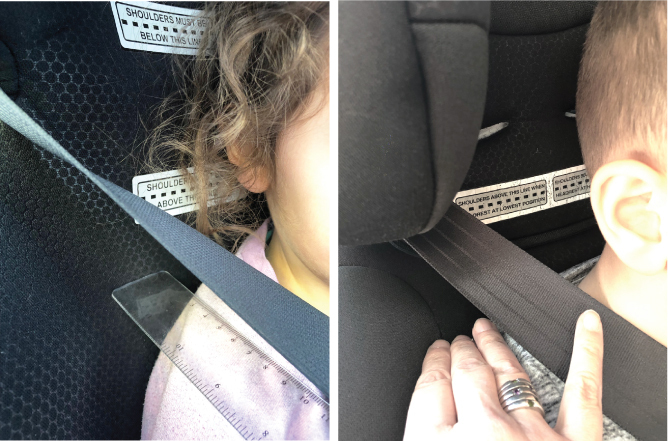 Shoulder height markers make it easy for parents to determine if a child restraint is suitable for their child and when the child needs to move to the next child restraint. 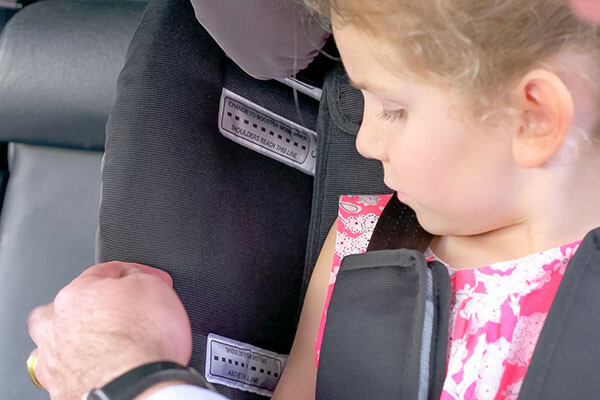 Height Markers, located on the inner side of the seat, prompt parents and carers to ensure their child restraints, and associated harnesses, are moved or adjusted at the right stages of the child’s development to maintain optimised safety. 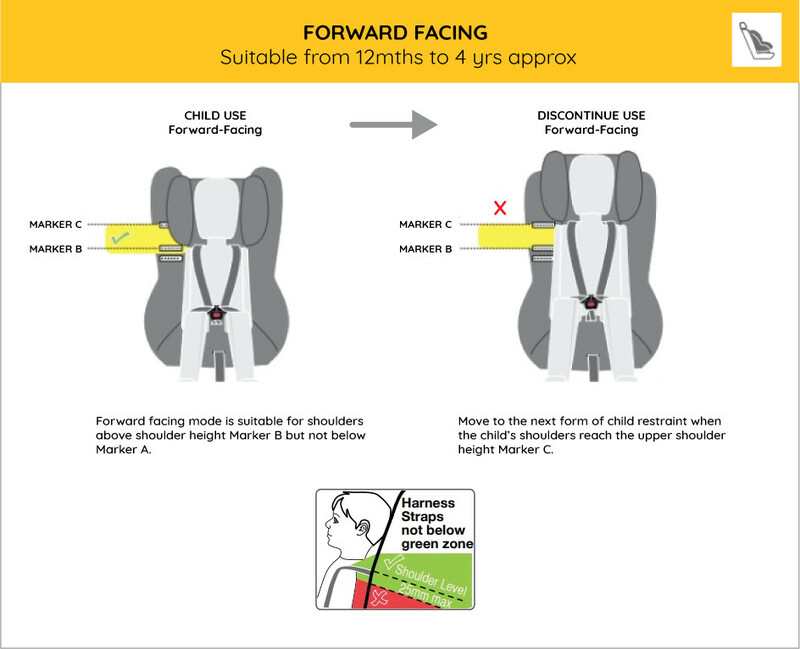 Always refer to the manufacturers instructions regarding position, but this gives you a generic positioning to help understand child restraints Marker B. 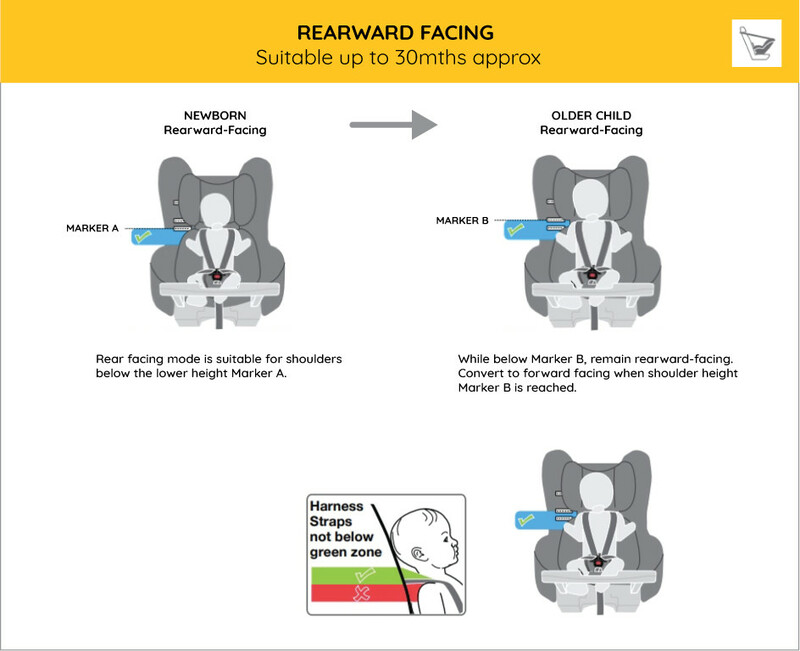 We recommend that you keep the child rear facing until it reaches the top Marker B. 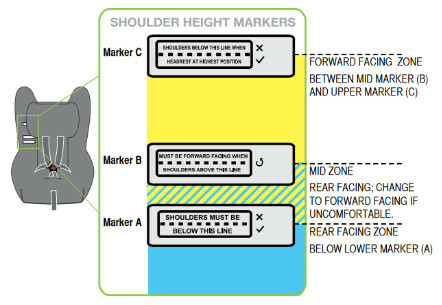 For forward facing – harness straps not below the green zone.